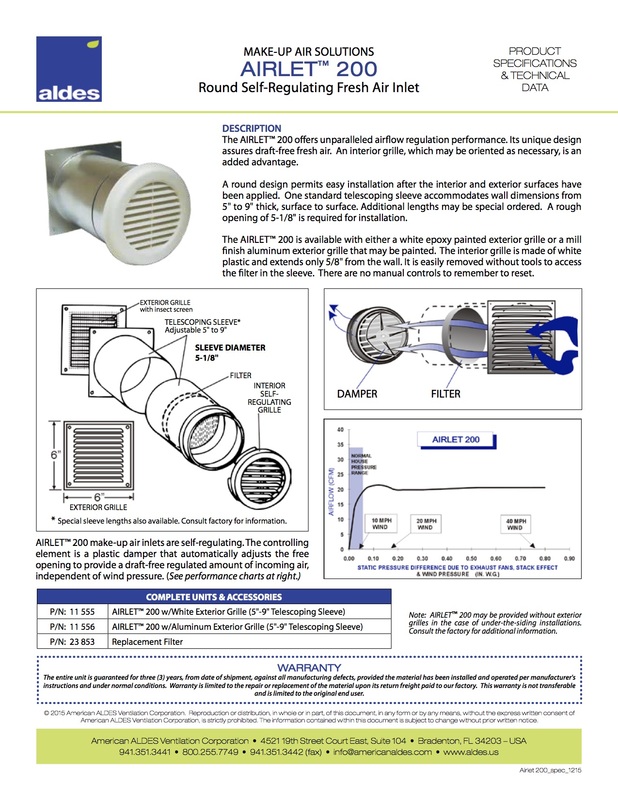 American Aldes AIRLET™200 Round Self-Regulating Fresh Air Inlet offers unparalleled performance in the regulation of airflow. Its unique design assures draft-free fresh air. An interior grille, which may be oriented as necessary, is an added advantage. The round design permits easy installation after the interior and exterior surfaces have been applied. One standard telescoping sleeve accommodates wall dimensions from 5″ to 9″ thick, surface to surface. Additional lengths may be special ordered. 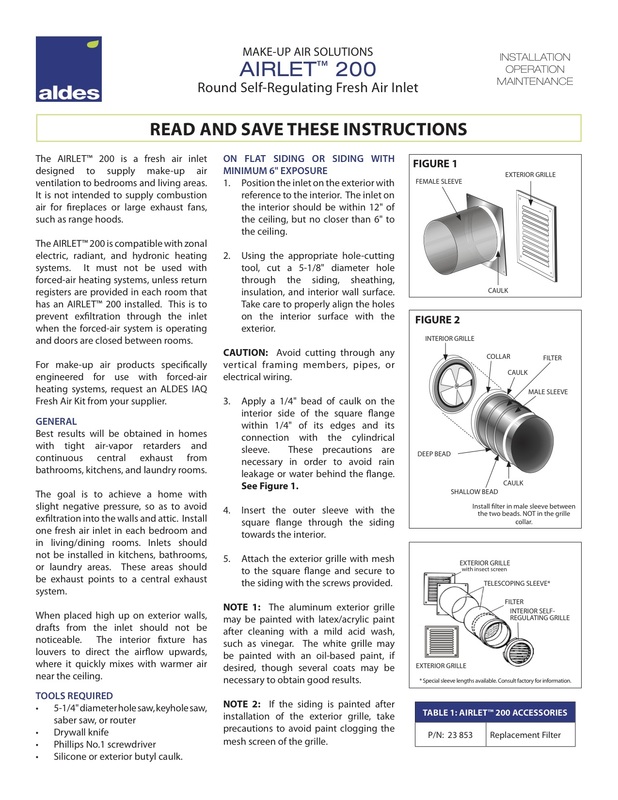 A rough opening of 5-1/8″ is required for installation. 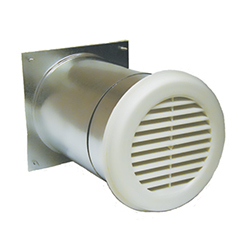 The AIRLET™ 200 is available with either a white epoxy painted exterior grille or a mill finish aluminum exterior grille that may be painted. the interior grill is made of white plastic and extends only 5/8″ from the wall. It is easily removed without tools to access the filter in the sleeve. There are no manual controls to remember to reset.